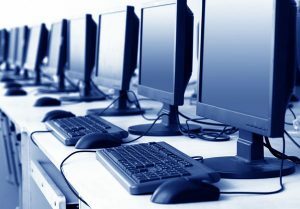 Often, no-longer-needed IT equipment still has usable value and recycling isn’t the best option. Protec Recycling can extend the value of your equipment by leveraging our large network of resellers, brokers and dealers. Full Data Destruction is guaranteed regardless of final disposition. Prior to resale, all assets are cleaned, tested, securely data wiped or shredded and prepared for shipping. All identifying stickers and asset tracking numbers are removed. Why Remarket Your Used IT Assets? The first step is to speak with one of our Purchasing Agents. We can talk about consignment or direct purchase options. Contact Us today and let us help maximize the value of your out-of-use electronics. Want to learn more? Call us today at 205-549-2120, or visit our Contact Us page.